A student group has organized a day of workshops for their classmates about making good decisions, and it starts with a visit from an inmate at the Columbiana County Jail. Brandi is 24 years old, pregnant with her fifth child, and awaiting sentencing for crimes she said she committed to feed her addiction. 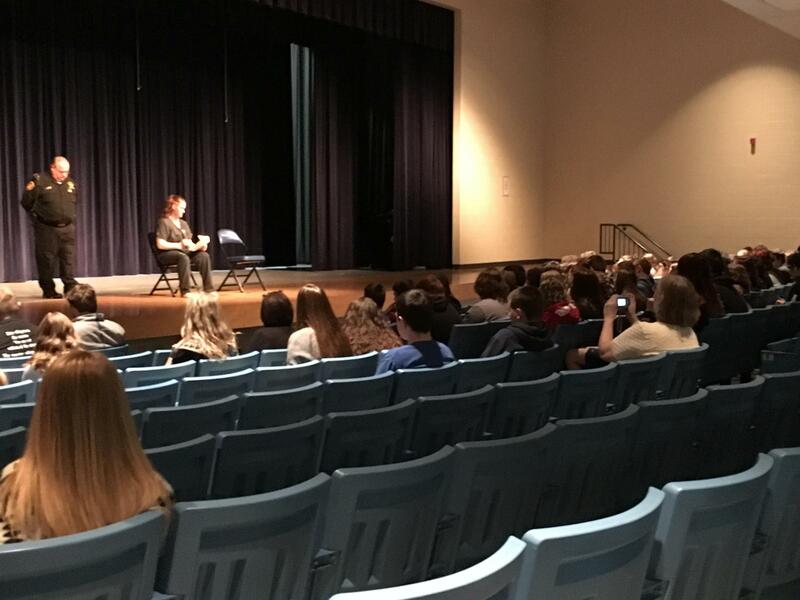 “Once you do it, you’re chasing your high and it’s not fun because it becomes a physical addiction to where you will get sick if you don’t have it so you’re constantly chasing it,” Brandi told the students. The rural school district near the Pennsylvania border serves about 900 students in a county where the number of drug overdose deaths doubled between 2015 and 2016. Lisbon Exempted Village Superintendent Joe Siefke said, like much of the state, his county has an opioid problem. That’s why they’re focusing more time on educating students about the risks of drug use, like at the morning assembly. It’s also why, just last month, they began supplying their school nurse with a new medication. 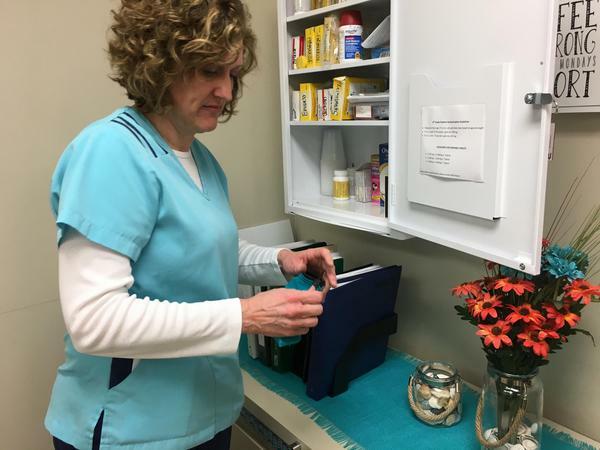 Nurse Kella Haren unlocked the cabinet where she keeps student prescriptions, some over the counter medicines like aspirin, and her two dose kit of Narcan. Narcan is an opioid antagonist, a nasal spray that within minutes can reverse the effects of an opioid overdose. “Somebody that’s got a slower respiratory rate. They might be a little limp, like their muscle tone’s not right, and blue. Blue lips,” Haren said, describing what an overdose patient might look like. 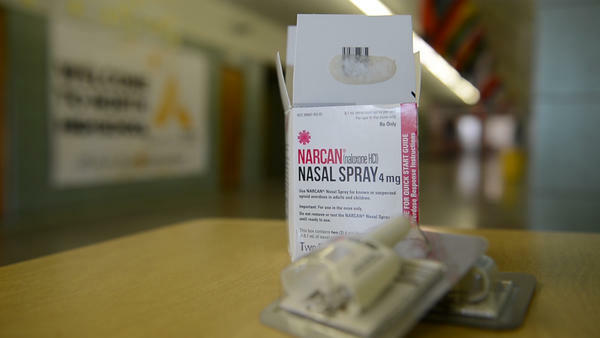 Haren and a select group of Lisbon school employees were trained on how to administer the drug, but Superintendent Siefke said the likelihood that staff will use Narcan to revive a student is slim. Lisbon is one of the latest Ohio school districts to stock the antidote, but isn’t alone. Dublin City Schools, near Columbus, has had Narcan in all 19 of its buildings since 2016. “I don’t have any quantitative data to share, but I’m very sure we were the first school system in Ohio to adopt it,” Dublin Deputy Superintendent Tracey Miller said. 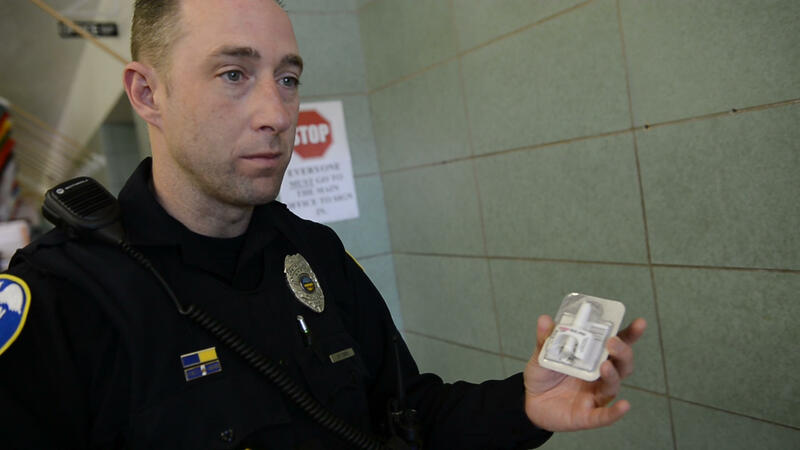 His district of 16,000 students has taken a slightly different approach to Narcan training. Miller said hundreds of employees- from teachers to coaches to custodians- know how to use the nasal spray that has no negative health effects if administered to someone who’s not experiencing an opioid overdose. “What we didn’t want is for someone to begin showing signs of an overdose and then, all of a sudden, they’re like okay, who’s trained to do this? Who’s trained to do this?” Miller said. “Then, what if that designated person, whoever that is, what if they weren’t available? Well the answer is we want everybody to be trained to do this,” he added. In Miller’s Franklin County, overdose deaths increased by nearly 50 percent from 2016 to 2017, and Miller says his community fully supported the local board of education’s position to stock the antidote, but that wasn’t the case for Akron City Schools last year. Rambler equated Narcan to fire extinguishers. They’re not there to encourage students to light fires, but are in every school in case of an emergency. In Akron, school resource officers are largely responsible for storing and administering the antidote. Below, Officer Kevin Evans, stationed at North High School, explains how Narcan works. There’s no central database tracking the number of Ohio schools that have Narcan on their campuses because it’s supplied in different ways. Lisbon Schools got its kits for free through an Ohio Department of Health Program. In Akron, the high school Narcan kits were provided by a pharmaceutical company and the district paid $100 each for the 8 in the middle schools, and in Dublin, the Board of Education purchased more than 20 of the $50 kits on its own. So far, all three districts say they haven’t had to use the overdose reversing drug, but they’re glad they have it. Just in case. Gov. 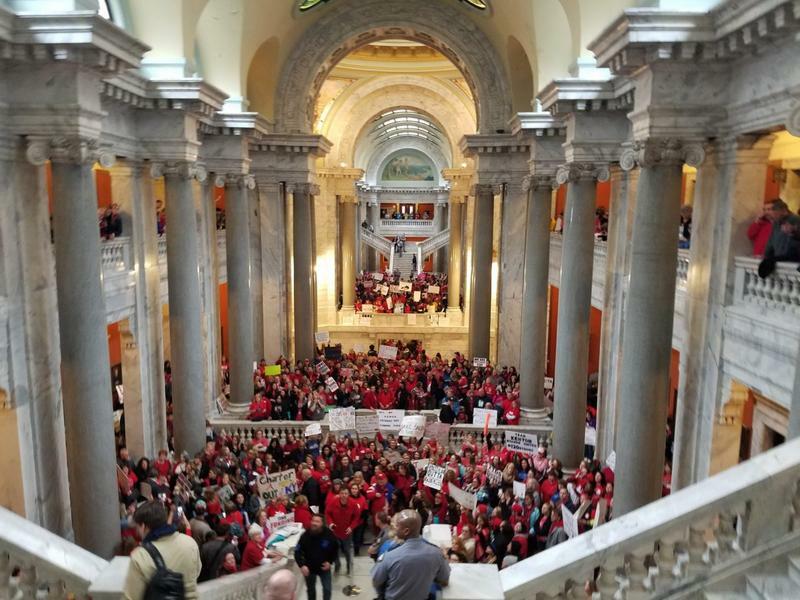 Matt Bevin says it would be “irresponsible” for teachers in Kentucky to strike a week after thousands of educators descended on Frankfort to protest pension and education cuts. Though state law doesn’t allow teachers to strike in Kentucky, the Jefferson County Teachers Association has called for educators to take a personal day on Friday to protest Bevin’s vetoes to the budget and tax reform bills passed by the legislature.